Home » Confession of sin , Ezra the Priest , Holiness , Repentance , Syncretism , Synthesis , Turning to God » To Sync is to Sink! To Sync is to Sink! Ezra 9:4 Then everyone who trembled at the words of the God of Israel assembled to me, because of the transgression of those who had been carried away captive, and I sat astonished until the evening sacrifice. In Ezra's case many of the people of Israel, the priests, and the Levites (Ezra 9:1) had intermarried with other ethnicities for all the wrong reasons. If you know anything about the many judgments and disciplinary measures that the Lord Jehovah meted out upon Israel and Judah you will have no problem understanding that this grievous action was at the root of the judgments and the expulsions from their land in past years. By intermarrying with the surrounding heathen (ungodly) nations the Israelites had invited the manners, customs, and practices of that land into their own culture. The ungodly and unclean practices of the heathen nations are described in the Bible as reasons for being metaphorically "vomited" out of the lands in which they dwelt. To Sync was to Sink! "Then the LORD spoke to Moses, saying, "Speak to the children of Israel, and say to them: 'I am the LORD your God. According to the doings of the land of Egypt, where you dwelt, you shall not do; and according to the doings of the land of Canaan, where I am bringing you, you shall not do; nor shall you walk in their ordinances. You shall observe My judgments and keep My ordinances, to walk in them: I am the LORD your God. You shall therefore keep My statutes and My judgments, which if a man does, he shall live by them: I am the LORD'" Leviticus 18:1-5 (NKJV).
" 'Do not defile yourselves with any of these things; for by all these the nations are defiled, which I am casting out before you. For the land is defiled; therefore I visit the punishment of its iniquity upon it, and the land vomits out its inhabitants. You shall therefore keep My statutes and My judgments, and shall not commit any of these abominations, either any of your own nation or any stranger who dwells among you (for all these abominations the men of the land have done, who were before you, and thus the land is defiled), lest the land vomit you out also when you defile it, as it vomited out the nations that were before you. For whoever commits any of these abominations, the persons who commit them shall be cut off from among their people. Therefore you shall keep My ordinance, so that you do not commit any of these abominable customs which were committed before you, and that you do not defile yourselves by them: I am the LORD your God.' " Leviticus 18:24-30 (emphasis mine). In Ezra's day the people were guilty of doing exactly what had placed them in the Babylonian exile they had just been delivered from. So with that in mind it is easy to see Ezra's consternation. It is easy to see why he tore his clothes and bowed his head low in humility and confession of sin before the Lord (Ezra 9:5-15). 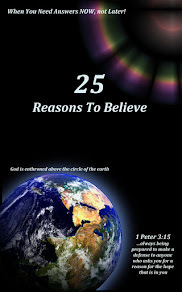 If Israel was going to last as a blessed land in the presence of God they must not repeat their sins of the past. "The path the world, and many in the progressively liberal churches, are offering is a smooth path to walk; it looks good and it’s easier to walk. But let’s consider the sacrifice at stake. Compromise always brings with it some losses, as it synthesizes two entities into one. In this case we have true uncompromised biblical truth on the one hand, and the acceptance of political correctness and cultural trends, on the other. When blended together, we end up with a gospel soup mixed with an acceptance that allows sinful actions to be validated as being tolerable in the church! That is not the gospel and it will go nowhere in reaching souls for Christ. God is not in it. 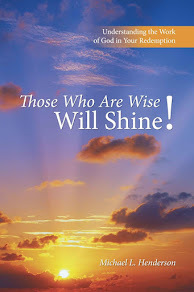 Realize the warning: When one steps into those forbidden pastures they are also stepping away from the light of God; and do not ever think that God, who knows all things, will be well-pleased with this compromise. Oh, some may say, “But I can lead them to Christ if I meet them where they are and do not present anything that is offensive to them.” But if it offends God then shouldn’t it offend us as well? We are called to be sent into the world with the truth of Christ, because we are not “of the world” (see John 17: 14-19; James 4: 4; 1 John 2: 15-16). The goal of Christianity is to take the gospel into the entire world that the lost may be saved. But how can we do this— how can we reach them— if we live just like them? How can we tell them to flee from their sin and into the arms of Jesus, if we have not fled from sin and into His arms ourselves? If this plucks a heartstring then you know what I am talking about. It is impossible to warn a person that their sin has separated them from God if we are practicing the same sins. The question Christians must ask in these days is costly. Do we desire to sink (shipwreck the faith) by syncing with the world and compromising the faith delivered to us by the Lord Himself or will we turn and confess our sin, as did Ezra, and pray for repentance. To Sync is to Sink. In Ezra's great prayer of repentance before the Lord he closed by saying "O LORD God of Israel, You are righteous, for we are left as a remnant, as it is this day. Here we are before You, in our guilt, though no one can stand before You because of this!" (Ezra 9:15). 1 - Ratzlaff, Ruben, and Paul T. Butler. 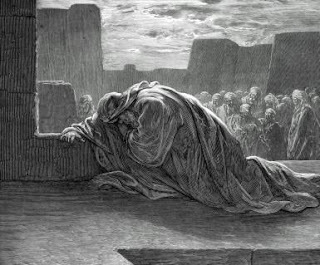 Ezra and Nehemiah. Joplin, Mo. : College Press, 1979. 2 - Michael L. Henderson (2015-04-16). 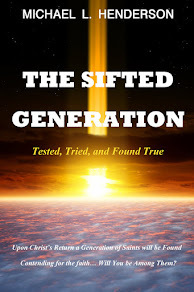 The Sifted Generation: Tested, Tried, and Found True (Kindle Locations 1001-1016). WestBow Press. Kindle Edition.